I am a Logan Paul fan. I follow his videos, and I am sad to say I was one of the many millions who watched THAT video. You know the one we’re talking about, but if not, here’s a quick catch-up. 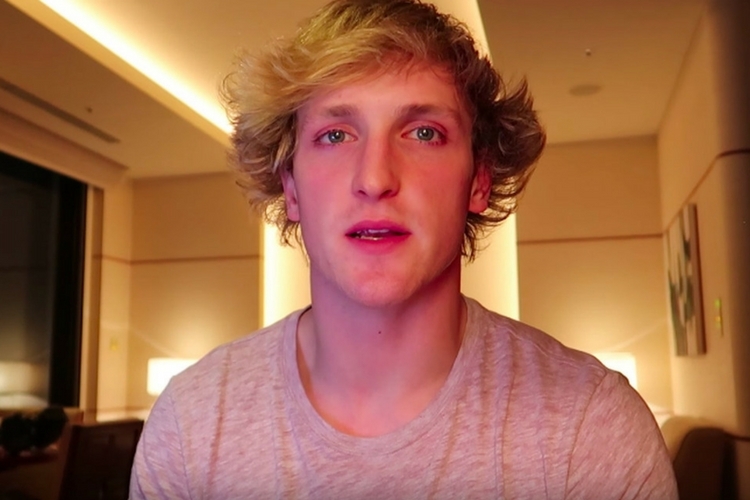 Paul, a YouTuber with over 15 million subscribers, stirred up serious controversy on New Year’s Eve after posting a video walking through Japan’s Aokigahara, also known as “Suicide Forest”. After coming across a dead body, Paul and his crew came decided to film it along with their reaction to it and released the video. Over 6 million people watched it before Paul decided to take it down but the damage was already done. However, his apologies came a little late. In the meantime, other celebrities have begun raising their voice against the insensitive video. Some people will do anything for views… Disgusting. And it’s not just celebrities who are concerned. The Verge reports about Suicide Contagion, which is as deadly as it sounds, especially when we are talking about a celebrity who has a ready audience of 15 million people on the world’s largest video platform. In his defense, Paul clarified that the video was posted purely to create awareness of suicide and mental illness. It had a disclaimer in the start and suicide prevention helpline numbers at the end. But all that fails to account for the fact that this sort of sensationalism puts suicide in a positive light, and makes it more likely for those at-risk to take a more grave step. As YouTuber Boogie2988 points out the disclaimers were far outweighed by the negative aspects of it. Our hearts go out to the family of the person featured in the video. YouTube prohibits violent or gory content posted in a shocking, sensational or disrespectful manner. If a video is graphic, it can only remain on the site when supported by appropriate educational or documentary information, and in some cases it will be age-gated. We partner with safety groups such as the National Suicide Prevention Lifeline to provide educational resources that are incorporated in our YouTube Safety Center. Let’s be honest for a minute here. We all know that the flak Paul’s facing now will die out eventually. So, let talk about the consequences of his actions for YouTube, which is already facing severe criticism from all corners over a series of missteps by its content creators and its moderation team. In the past year, YouTube has been defending itself against a slew of issues from extremist content to fake news to alleged child abuse videos. Then there was the controversy surrounding YouTube mega-star PewDiePie’s racist antics. All this, and more put sharp focus on how the company will moderate submissions. And while YouTube is only trying its best to filter content from the masses, it cannot be blamed if its biggest stars make such a huge mistake. Now they also have to look after the adults in the house. The place to start would be to add a strike against Paul’s account and channel, just like YouTube warns it would do in its Content Policy. Being sensitive is not a weakness, especially in the case of Internet celebrities. Their reach is not limited by geographical boundaries, so showing sensitivity in your content becomes even more important. Imagine this: Instead of shooting a video of a man who’d just committed suicide, if Paul had just spoken to the camera and expressed his support for those at-risk of suicides, wouldn’t that have catapulted his popularity instead of bringing it crashing down? In a day and age when all content is under the scanner, being a little sensitive to the issues that affect people is well worth the effort. No one benefitted from this video; in fact, Paul made life worse for thousands out there. Hopefully it serves as a lesson to thousands of YouTubers out there who are also reaching for the stars.